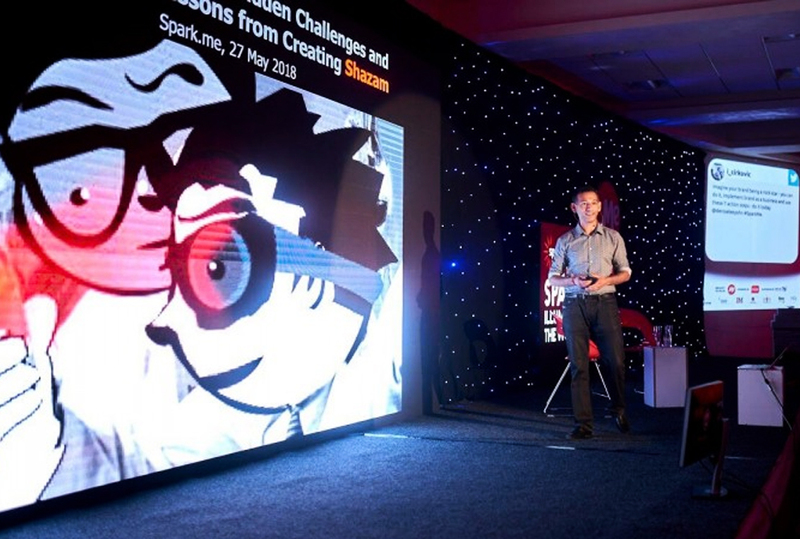 Dhiraj Mukherjee Microsite | CSA Celebrity Speakers – Dhiraj Mukherjee is co-founder of Shazam and a digital technology expert. His powerful keynotes focus on disruption and disruptive technology, innovation strategy and consumer behaviour. He also speaks about cryptocurrency, blockchain, digital business and banking. Dhiraj Mukherjee is co-founder and former director of Shazam, the world’s first mobile phone music recognition service. Today it is a leading media engagement company and is one of the top 20 most downloaded apps. Dhiraj has also worked in innovation and strategic roles for global companies, including Virgin Money, Reuters and Infosys. He has helped launch new digital businesses and social media services and led open innovation initiatives and guided projects across digital banking, big data and emerging technologies. Mukherjee is currently an independent consultant and keynote speaker, focusing on entrepreneurship, FinTech and emerging technologies, including cryptocurrency and blockchain. He is an active angel investor and mentor to disruptive technology start-ups and advisor to venture capital funds. He was elected to the Digital Banking Club’s ‘Power 50’ influencers in Financial Services in 2016 and selected for Smith & Williamson’s ‘Power 100’ in 2017 for supporting innovation and entrepreneurship in the UK. He was also recognised by the Financial Times as one of Europe’s Top 50 Technology Entrepreneurs in 2015. You are co-founder of Shazam, which is now one of the most popular apps in existence. Was it possible in the beginning to have a clear understanding of just how amazingly successful it was going to become and what were your main concerns when you first launched the service? With digital entrepreneurialism in your DNA, can you give an insight into the opportunities and threats facing companies in this sector? How easy or difficult is to come up with the next ‘big idea’? My co-founders and I set up Shazam in the year 2000, at the height of the dotcom bubble. Back then music fans bought CDs, mobile phones were far from smart, and Google was almost unheard of. When we first came up with the idea of identifying any song, anywhere from a mobile phone, we had big dreams and aspirations for the service. In reality we were naïve – our early results after we launched in 2002 were below expectations and we started to understand just how hard it is to build and popularise a business. Yet we never gave up the vision, and worked and worked on improving the product. At launch we could identify a million songs in the UK, and we pushed hard to grow the service in other countries. The recognition rate improved, we added features like being to buy a ringtone or send a 30-second song clip to a friend. However, it took six full years for Apple’s app store to launch in 2008, and Shazam released one of the first iphone apps ever created. Finally Shazam found the right platform for the service, and usage exploded. 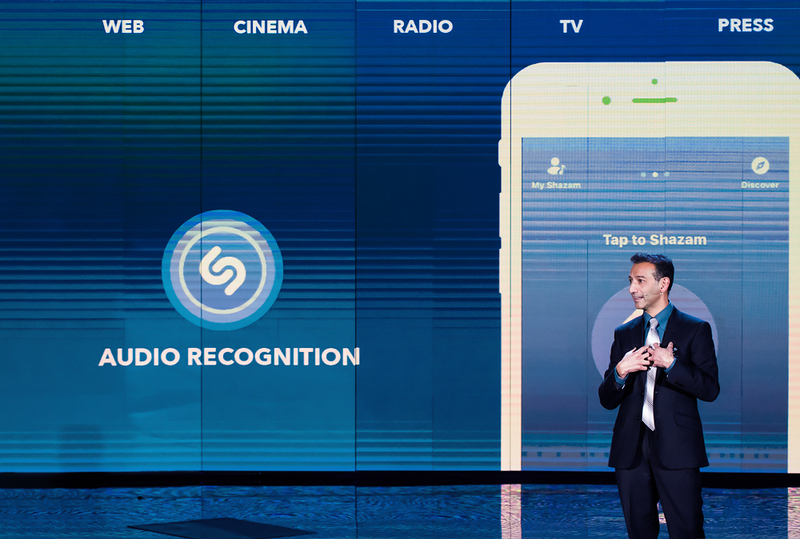 Shazam has now been downloaded over 1 billion times worldwide, and 150 million people use Shazam every month. It is crystal clear that our world is becoming increasingly digital every year, and many industries are becoming digital at the core. However, most big companies have difficulty in re-inventing themselves as digital businesses. This creates a huge opportunity for start-ups and new entrants, particularly as consumers are more digital by the year, and their expectations are very different from even five years ago. As a result, I think there are so many opportunities for new ideas, services and ways of doing things. However, it’s not necessarily about big ideas – it’s about executing an idea very, very well. Nowadays I do a lot of advisory work with corporate innovators, helping to spark these ideas and then work methodically to make them real. Digital DNA is the ability to experiment with emerging technologies, envision the future, and then create and launch new ideas. I have been working on it for more than 20 years now, so I enjoy sharing my lessons learned. How important do you believe creativity and innovation are for a digital business to be successful and are these skills more important than in a traditional business model? In the age of new technology, with customer expectations and behaviours changing can companies have any chance of meeting these new demands, let alone exceeding them? I think that creativity is an essential part of building a successful digital business. Innovation for me is “turning ideas into invoices,” a phrase I once heard and like. Creativity is an essential ingredient of innovation, but in my mind it’s not an end goal in a digital business. However, I think that there is no substitute for execution and delivery. I don’t know any start up (or any individual for that matter) which is successful without the ability and rigour to deliver. The art is being adaptable and nimble with what the business is delivering over time. Established companies tend to be good at structured, repeatable processes, which works well in more traditional industries. In modern digital business, the ability to change course quickly, frequently and accurately is a key skill. Most large companies that I advise have not mastered this as a core competency. However, every successful start-up that I interact with displays the ability to confidently change direction when needed and when it matters. That’s why established companies have a lot to learn from digital start-ups and scale-ups, and I actively work on helping corporates and start-ups to collaborate in effective ways. It’s true that customer expectations and behaviours change quickly in a digital world, but meeting changing customer needs has always been part of doing business. I believe that it is futile to observe current consumer behaviour and then try to respond: customers change too quickly for that approach to succeed. Instead, I am convinced that successful digital businesses need to look to the future, and anticipate changing behaviours before they happen and design for that future. Abraham Lincoln apparently said “the best way to predict the future is to invent it” and I totally agree with that thought. I recommend that established companies develop their digital DNA: the willingness to experiment with emerging technology, develop a point of view about the future, and then creatively generate a stream of new ideas to test and refine. Although we didn’t use such a formal methodology when we started, Shazam has always felt ahead of its time and stayed a leader in its field since innovation was an essential part of our DNA. You are fully engaged in FinTech and the financial services sector; can you give us an insight as to the future of banking and how cryptocurrency and blockchain will impact this space? Banks and Financial Services companies are definitely becoming more digital across the board. However, having worked in banking as Head of Innovation at Virgin Money, I think changes will happen slower than some people expect. In my experience, most large banks in the UK are playing catch-up with their core digital operations. It is absolutely true that banks are becoming more digital over time, but I would not call that truly innovative. In particular, with blockchain technology and cryptocurrencies, I sense a lot of misinformation, fear, and sometimes ignorance. I see a similar pattern to the early days of the internet, when new players experimented with nascent technology before standards were well established. In those days there were already some large technology companies, many of whom are no longer leaders today. In the blockchain and cryptocurrency space, I suspect that in the future we will have companies as vital as Visa or Mastercard which we have never heard of today. I also think that today’s big technology companies will have a much better chance, and much greater ability, to shape the future of financial services than some of the big banks today. So in the short term, the future of banking will look strangely similar to today, but in 15 or 20 years it will be unrecognisable. I have invested in a cryptocurrency trading company called Magic Carpet AI which is using leading-edge Artificial Intelligence to trade across a range of cryptocurrencies. I am also looking closely at a number of blockchain investments in financial services and other industries. Being an active angel investor helps me to look ahead to how this space will evolve and play a role in shaping it! ”An infinite source of strength is being able to tune into, and act strictly according to, one’s values. 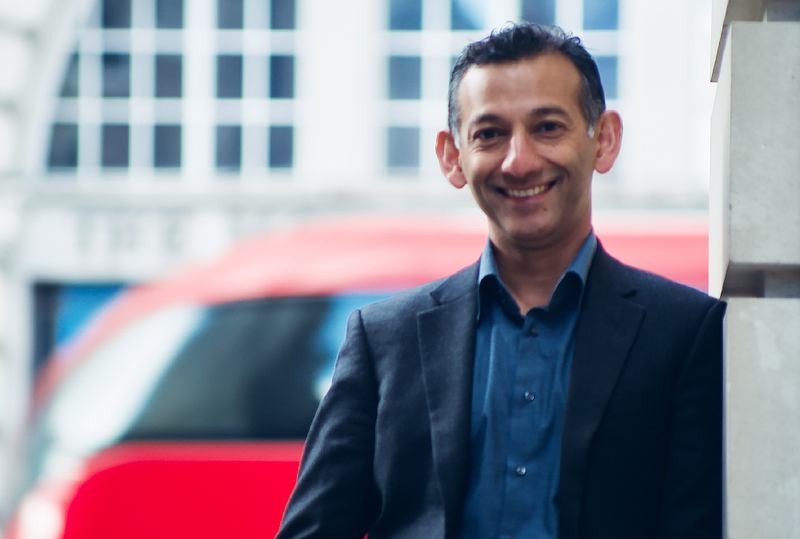 Dhiraj Mukherjee is an inspirational digital technology entrepreneur, who eloquently shares his experience and knowledge with business audiences around the globe. He delivers insightful keynotes in a captivating, relaxed, style. If you would like to book Dhiraj Mukherjee for your next event, please call Jean-Baptiste Lopez Civallero on +376 735 157 or send an email to jean@csaspeakers.com. © 2019 Dhiraj Mukherjee Microsite | CSA Celebrity Speakers.